Very brief health and safe. Proper butchers coats and aprons put on. Short demo on how to bone out a shoulder of pork. Including a brief talk about the breed of the pig and any other questions about the pig. A demo on how to make the sausages and about the different flavours they can make. We will then cook a sausage from each member of the party and see which is best. 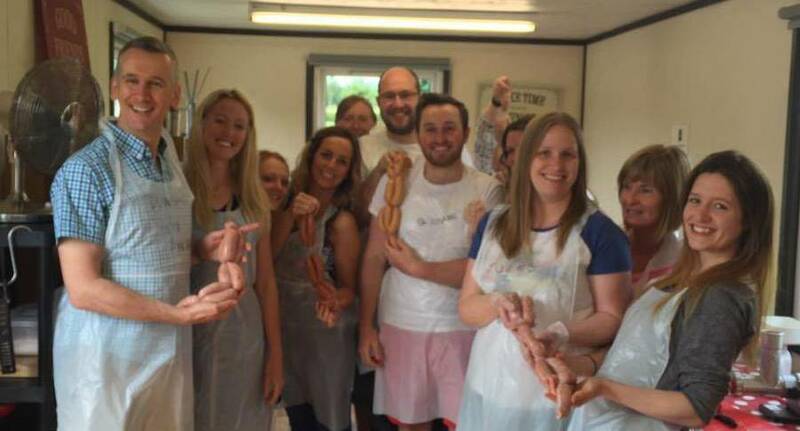 They get to keep all their own sausages.